Overall, 68"W x 85"D x 56"T.
Overall, 84"W x 85"D x 56"T.
Overall, 80"W x 89"D x 56"T.
Boxed weight, approximately 145 lbs. 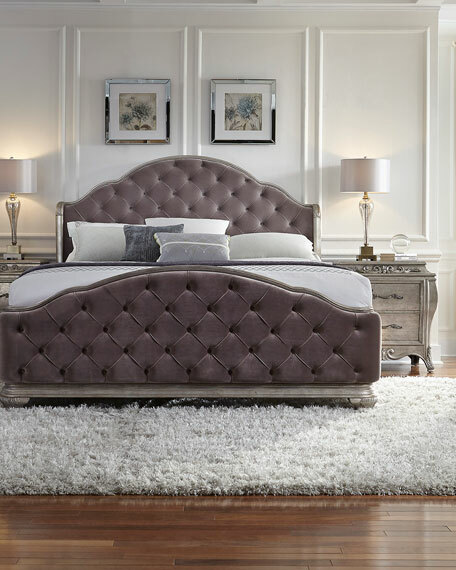 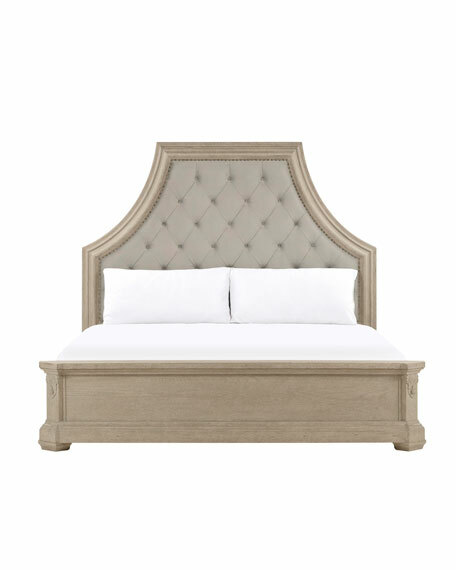 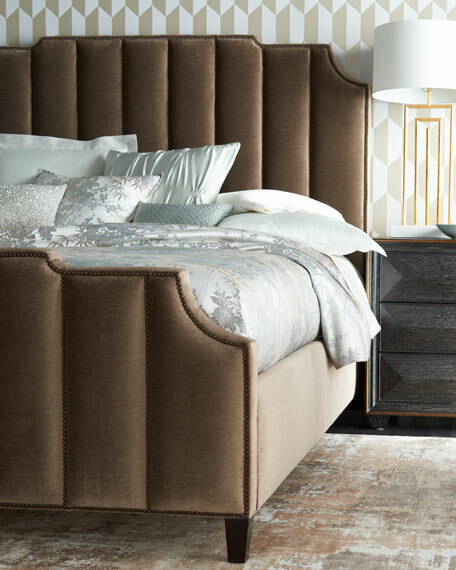 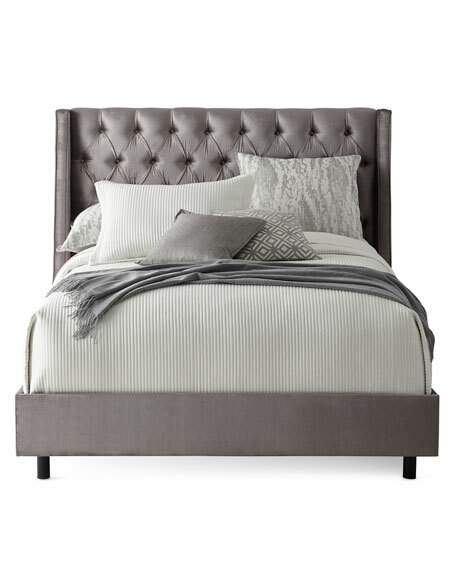 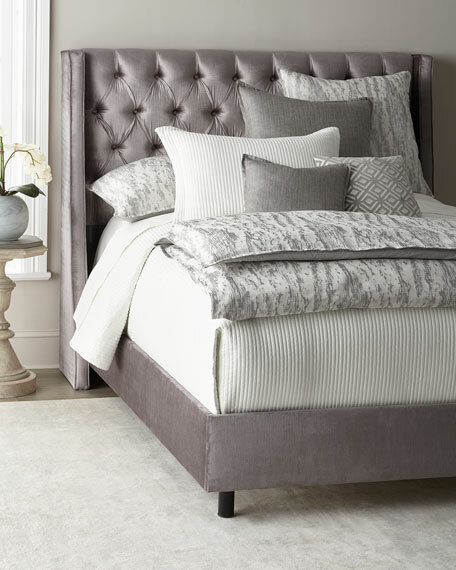 Plushly tufted bed with scalloped edges.Beautifully hued cotton/linen upholstery.Rubberwood and quartered ash veneer.84"W x 95"L x 67"T.Bolt-on bedrail system.Assembly required.Imported.Boxed weight, approximately 136 lbs. 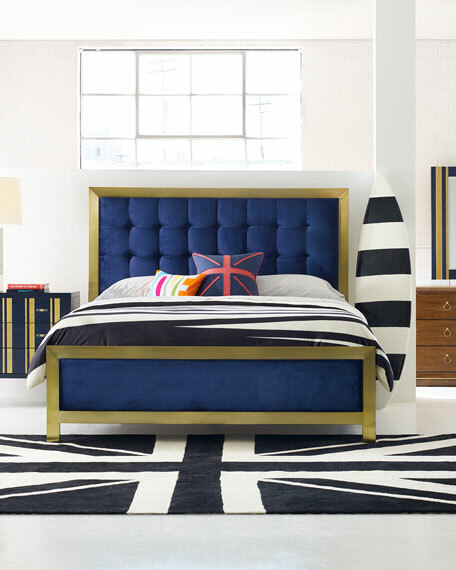 Handcrafted bed.Gold-tone plated metal over rubberwood.Cotton/rayon upholstery.79.5"W x 88"L x 66"T.Deep button tufting on headboard.Assembly required.Imported.Boxed weight, approximately 234 lbs.